Since a book title is the number one "Essential Hot-Selling Point" for your book, it's a good idea to choose one that sells well. Write down five topics that stir your passion. Write a book your audience needs or wants. Compare your book with other reputable, good sellers in your field. Common advice in all fields of study is for the student to take lessons from a master. Unfortunately for those who wish to write fiction -- either in plays or stories -- the most renowned and highest authority in the art of fiction-making is long dead. 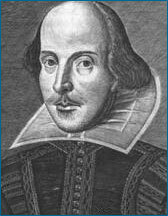 Few would argue William Shakespeare's supremacy in the art of creating a compelling story. And since he never wrote, "Will Shakespeare's Guide to Writing Great Stories," if we are to learn from this master, we must draw lessons from his works. 1) You must have a story to tell. 2) Your story must introduce us to extraordinary people; not impossible people, but characters whose circumstances and lives are able to engender powerful interest. 3) Your story must be thoroughly developed and told with consumate skill. 4) The amosphere of actual human life must be so artfully hung over all the scenes that we feel it, breathe it, and live in it while we read. 5) Every element of your story must be referable to the sources of human passion, aspiration, credulity, fancy, faith or manners. Nothing in it must be untrue to the universal human possibilities; but each dramati crisis must turn on some extraordinary conjunction. The commonplace must not be preponderate. 6) There must be absolute dramatic vision; without this the novel is a mere tale, the drama a mere play, the painting a lifeless transcript, the music a meaningless tinkle, the sculpture a form without suggestion. 7) Last comes style, which is the final stamp of the parsonality of genius. There is no such thing as a materpiece without the presence of this indestructible preservative. For more great articles, tips and resources for writers and publishers, visit http://www.PublishingCentral.com.